Welcome! These words from Richard Gillard’s The Servant Song, remind us that we’re all on a journey, outward physical journeys and inner spiritual journeys. 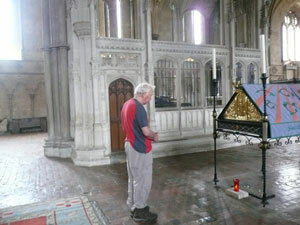 The ancient tradition of pilgrimage is alive and well! In recent years more and more people have put on their boots and set out on journeys which have enriched their lives. Many speak of the ‘draw’ the invitation from within to get up and go. 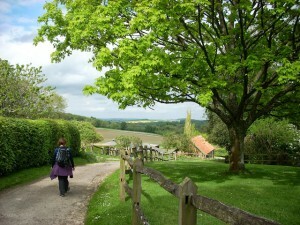 Walking takes time and gives time, time to be with God, with self and with others, time for relaxation and enjoyment. The beauty of nature and the seasons as they journey on, give healing, refreshment and new perspectives. The journey is as important as the destination and in every ending, every arrival there is a new beginning. Pilgrimage changes us. We hope this website will inspire you and help you to plan your route, to find accommodation and other facilities and places of interest on the way. 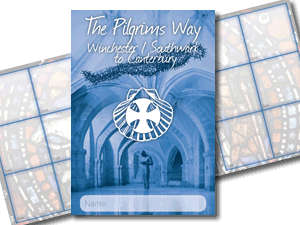 We hope it will encourage and enable you to be a pilgrim! To be blessed by the freedom of the road, the beauty of the countryside, villages, towns and cities. To respond to the physical challenge and the spiritual invitation. To be a blessing to those places and communities through which you pass and the people you meet on the way, challenged by the great Pilgrim motto, ‘Expect nothing and be grateful for everything’.